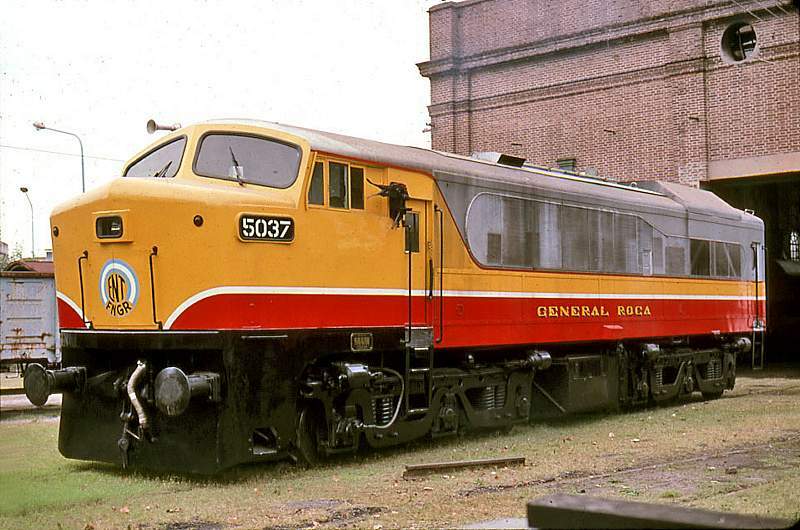 The General Roca was an original owner, it acquired 51 RF615Es new from Baldwin. 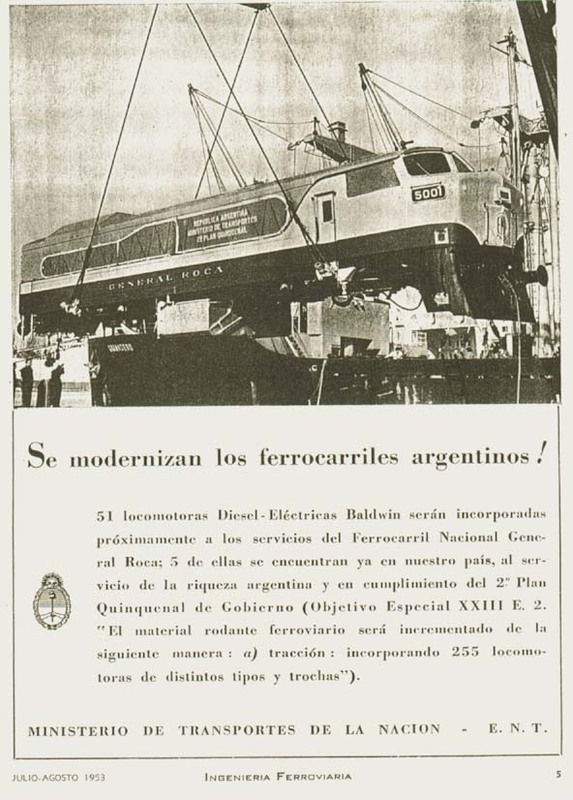 In 1948 the Argentine railway system was nationalized into six railroad companies under the Empresa Nacional de Transportes (National Transportation Company). 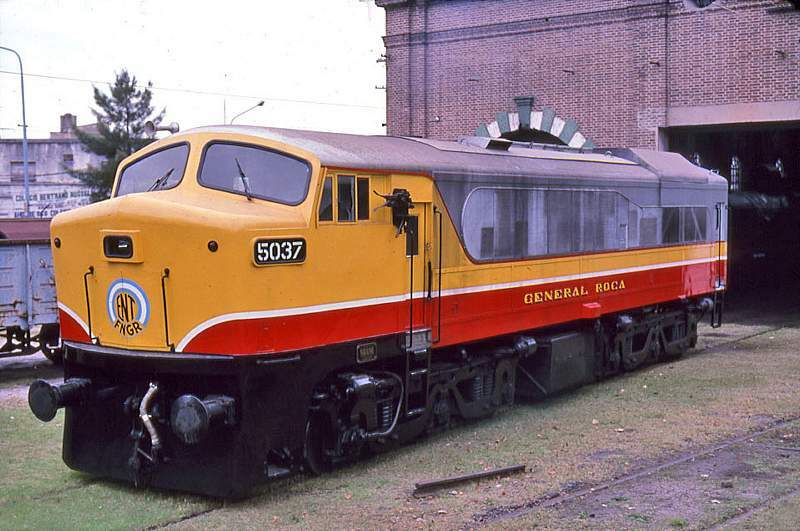 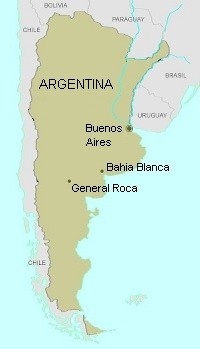 One of these was the Ferrocarril Nacional General Roca (General Roca National Railroad). 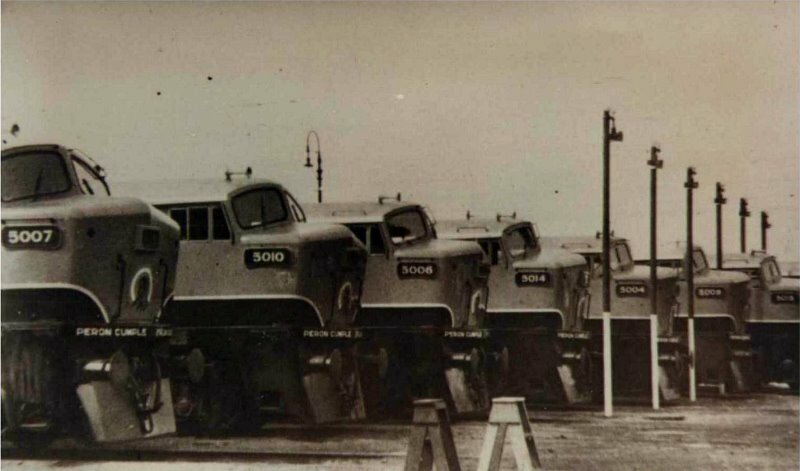 In 1952 an order for 51 Baldwin export cab units (5'-6" gauge) was placed to dieselize the General Roca. 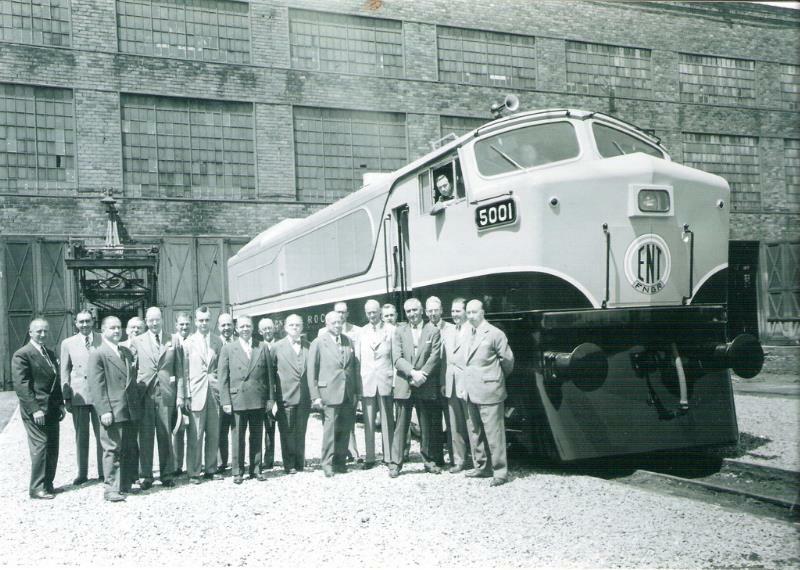 These were built and delivered in 1953 & 1954. 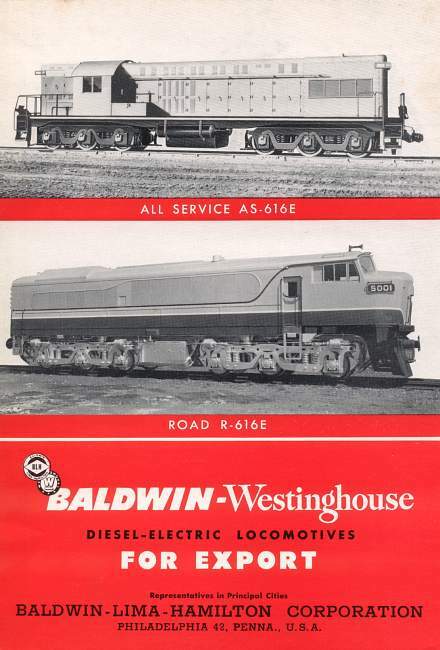 The Baldwin catalogue of export models lists model R-616E of type "Road (Combination Freight & Passenger)". 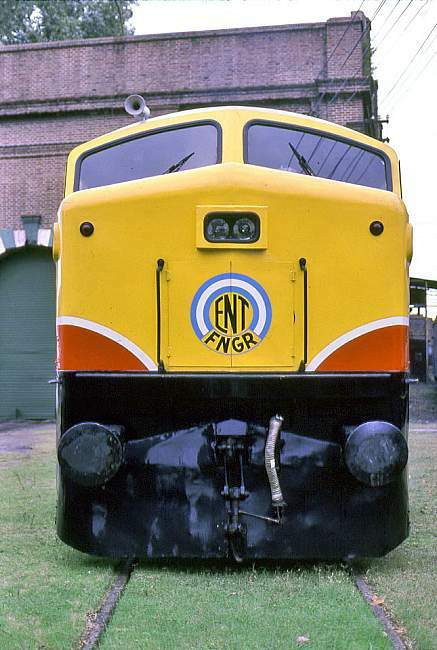 Rated at 1600 HP. 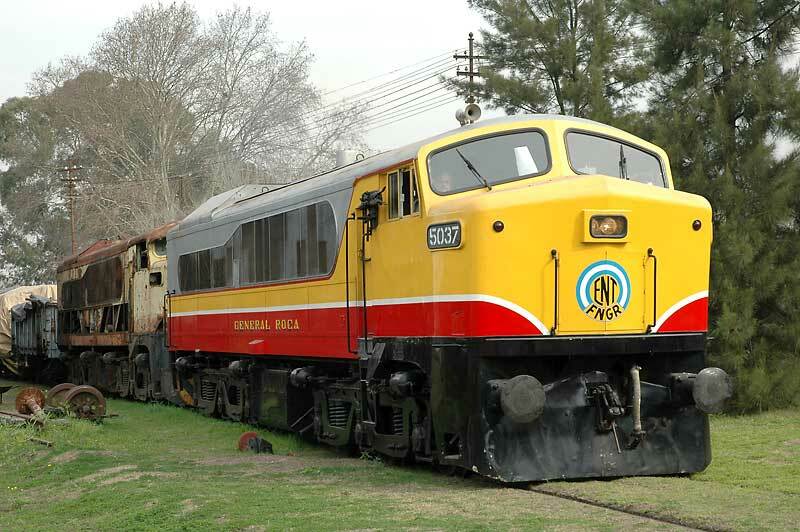 The Empresa Nacional de Transportes ordered their units de-rated to 1500 HP and without steam generators, hence they are known by the model designation RF615E.